Next Week is our summer kick off event! 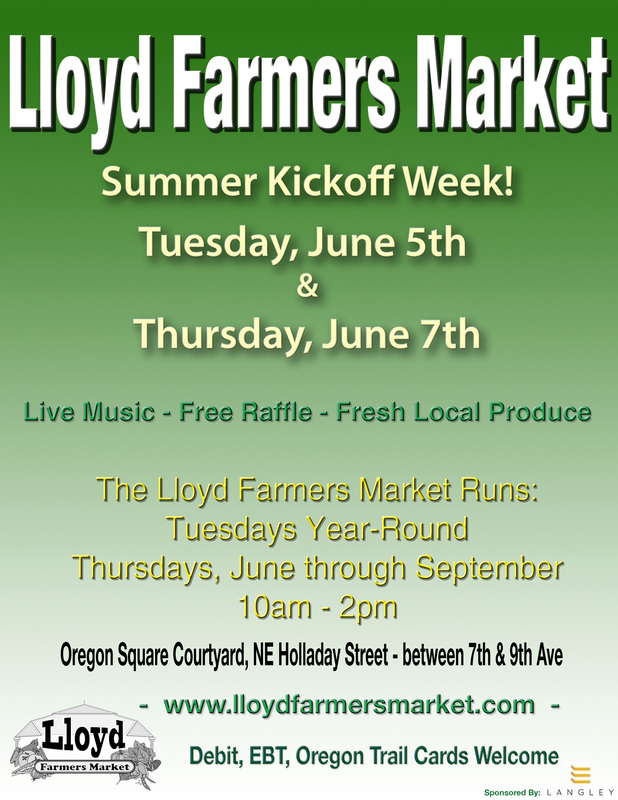 Starting in June, the Lloyd Farmers Market comes to you twice a week! We’ll be here with fresh produce, delicious lunch options, prepared foods and more, on both Tuesdays and Thursdays! To celebrate, the Lloyd Market will host music, feature a give away drawing and kick off Fresh Funds, our EBT match program. Come on Tuesday to hear music from the Mississippi Delta brought to you by Steve Cheseborough! On Thursday, we get a little loungy with guitarist Lew Jones.